We navigate new tax codes so you can maximize your benefits, prepare your individual taxes and handle your E-Filings. Our business tax services include tax planning and preparation, E-Filings, entity selection, and IRS representation. Divorce is stressful. Our caring firm can help you navigate the tax and financial issues of a divorce and review your settlement for equity. Let us manage your QuickBooks or Peachtree accounting system and your business payroll. You’ll have more time to focus on the business of making profits. Tax Preparation, Planning and Accounting for Individuals and Businesses. We Specialize in Services for Real Estate Professionals. Whether you are a small business or an individual, you need and deserve advanced tax and accounting advice. Stevans & Associates, PLLC is a Pittsburgh CPA firm that specializes in tax, accounting and general business consulting, as well as individual tax preparation, estate planning, and divorce settlements. We aim to be our clients most trusted advisor, and we always keep their interests in mind. We work together as a team with unquestionable commitment and integrity. Whether you seek monthly write-up services, or quarterly payroll filing, or just individual tax consulting, Stevans & Associates, PLLC is here to help. When it comes to taxes, both personal and business, proper planning is the key to financial success. Stevans & Associates, PLLC is a competent and caring CPA firm whose dedication and knowledge will help you maximize your tax benefits, while also avoiding future problems. We are dedicated to providing our clients with professional, personalized services and guidance in a wide range of financial and business needs. Together, we can help you reach your fiscal goals. 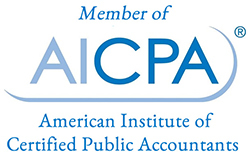 Let us be your CPA firm and accountants for your future success. Starting a new business? We will help you apply for a Federal Identification Number and also obtain the necessary state withholding tax and unemployment account approvals. We can also show you the tax advantages and disadvantages of sole proprietorship vs. incorporation or organizing as an LLC. We would like to hear from you. Contact us at matt@stevansCpa.com or 412-875-5719 today and request a consultation. Website by Holt Web Design LLC.